Peter Noerbaek’s home theater and listening room was the setting, and one of America’s most discerning and technically proficient experts in sound reproduction was the auditioner. Noerbaek was providing a unique first-listen to his new M2!5 speakers, and the anticipation level was palpable. Within moments of the opening vinyl track, played through Peter’s masterfully precise PBN GrooveMaster Vintage Direct DN 308 Professional turntable and two PBN EBSA3 amplifiers, the listener nodded and smiled. This was it. Simply, emphatically, this was the one. 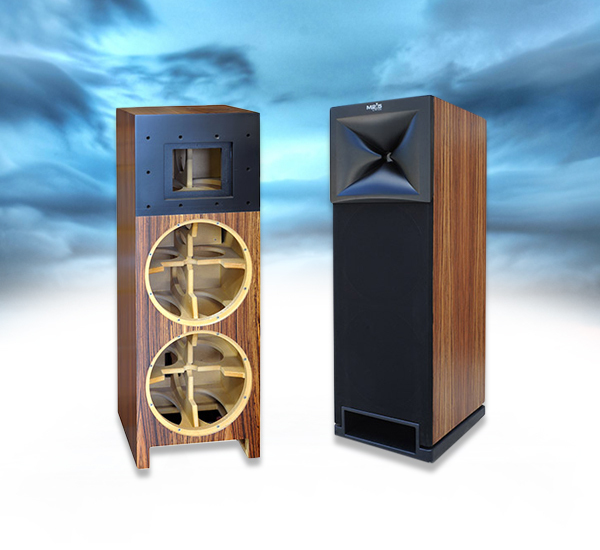 Many other sound systems create full, nuanced, even extraordinary sound. But what is it that the best sound engineers seek? “Presence.” “Weight.” “Thereness.” Beyond a “being-in-the-room” sense of space, an extra dimension emerges that captures the uncaptureable – the electricity of a live performance where the performers embody the music, where it lives and breathes through them. The equipment and room setting fade into the background. You are no longer “playing” a “recording”. You are there. Noerbaek’s long-invoked mantra is a simple one – hearing is believing. Of all the superb systems he has developed over decades of intensely focused creativity, this is the one he now points to as the new benchmark. 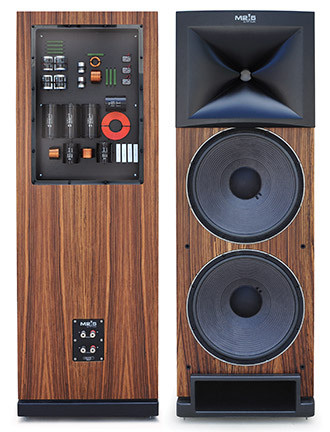 The M2!5 is a hefty speaker, standing just under five feet and weighing in at 280 pounds each. It features rock-solid construction, internally reinforced to provide a vibration-free, silent soundstage. The steel spike feet provide even more stability. Custom hardwood veneers complete the understated elegance. 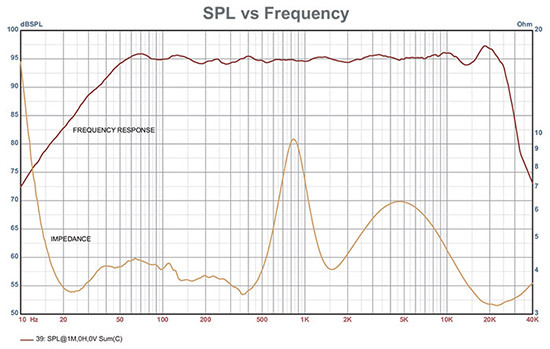 Two JBL drivers are the heart of the system: First, twin JBL 2235H 15” woofer classics, with a low-loss magnetic structure and Symmetrical Field Geometry, which reduces harmonic distortions to near zero. The second is the inimitable JBL D2430H mid-range/tweeter compression driver, with dual-diaphragms. 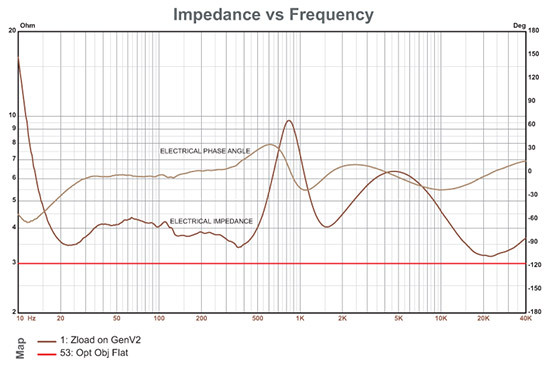 The drivers are aligned “in time” via their amazing 900 Hz charge-coupled crossovers. Together they profile the exquisite precision of the system’s design. In sum, it produces a significantly heightened array of both power and reduced distortion – with twice the number of voice coils and more than double the power handling. The dramatic “horn” seems a throwback to earlier times, and certainly gives an aesthetic focus to the speaker. Its contribution to the channeling of sound, however, is far from cosmetic. Precision-made cabinet with a faceplate of 1.75 in. Layered MDF. Highly engineered inner chambers designed to produce the most accurate measurable audio reproduction in the world. Twin 15 in. 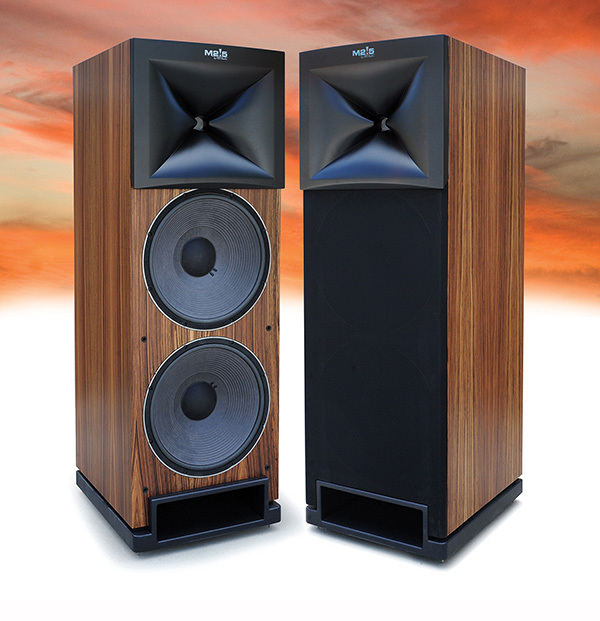 JBL woofers with with a low-loss magnetic structure and Symmetrical Field Geometry matched to internal enclosures for producing accurate mid-bass. 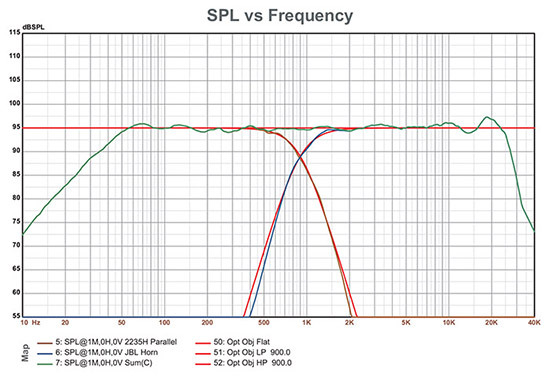 JBL D2430H mid-range/tweeter compression driver with dual-diaphragms. The drivers are aligned “in time” via their amazing 900 Hz charge-coupled crossovers, profiling the exquisite precision of their design. Comes complete with PBN’s proprietary 30 db per octave acoustical crossover slopes. Plus, there are five precision hand-wound inductors.